Hi there, Daisies! 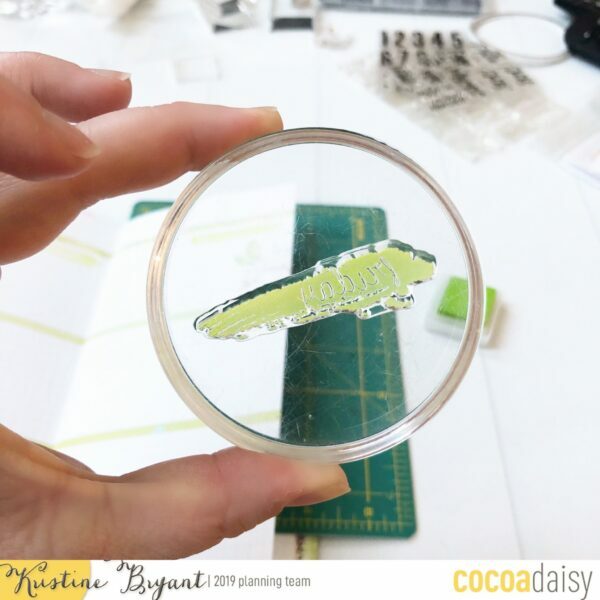 Today, I’m going to show you how I created a weekly layout in my standard Daisy Dori using only stamps – no stickers! 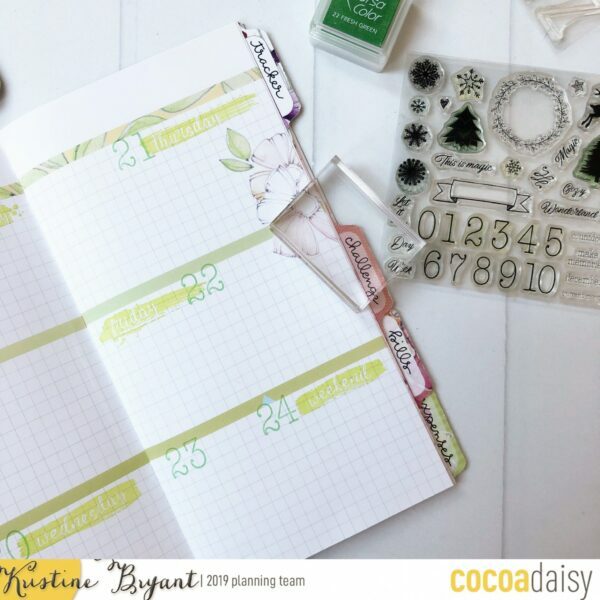 I love the Cocoa Daisy stickers, don’t get me wrong – but I also love to stamp, and sometimes it’s fun to challenge myself to create a layout I love using only one or the other. This week, I went with stamps. First up, I gathered together my supplies. 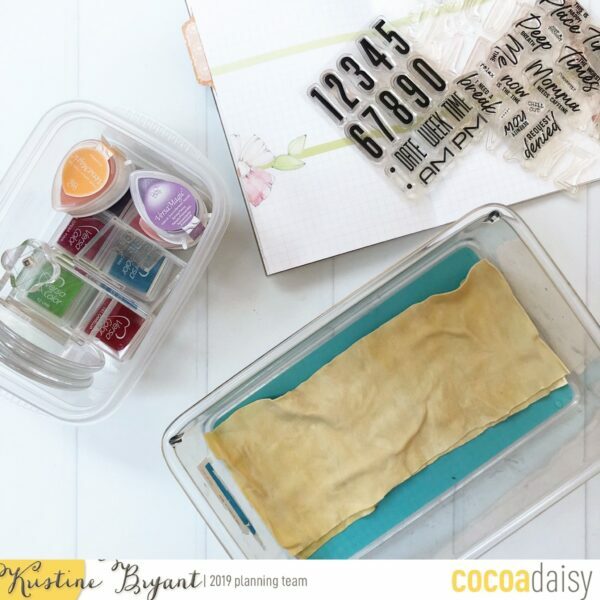 In order to make stamping as quick and easy as possible, I keep my stamps and inks organized and near my craft area at all times so they’re easy to grab and use. Each month, I pull from my extensive collection of colored inks and gather 8-10 colors that go well with that month’s kit, and I keep those inks and my acrylic blocks in a small plastic container on my craft table. I also keep another, larger plastic container with strips of chamois cloth (purchased in the automotive section at Wal-Mart) in the bottom – before my stamping session, I soak the strips with water, squeeze them until just damp, and lay them back in the container. As I need to change colors or stamps, I gently wipe my stamps on the cloth to remove the residual ink before putting them back on their plastic backings. When I’m done, I let the chamois dry in the tray and set it aside until the next time I need it. 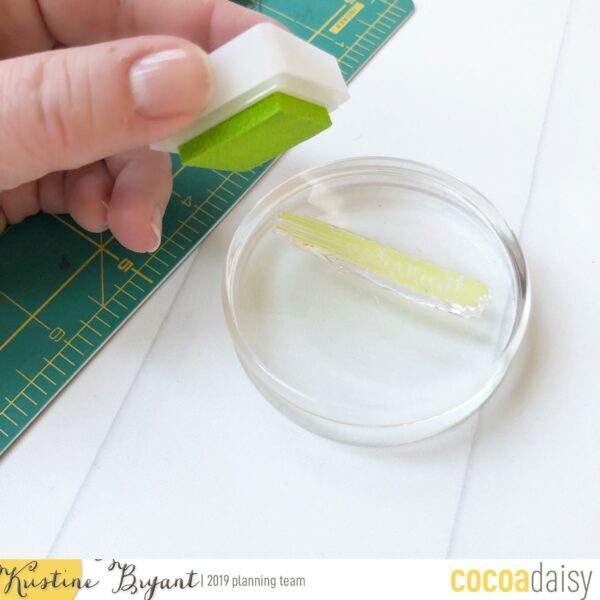 Second, place a small cutting mat or the pencil board from this month’s “Fresh Cut” kit under the page you’re working on to give a nice, solid surface for stamping. Set your stamp where you want it and apply firm, even pressure without rocking (rocking will give a blurred image). Once all my days of the week were stamped, my next step was to add numbers. 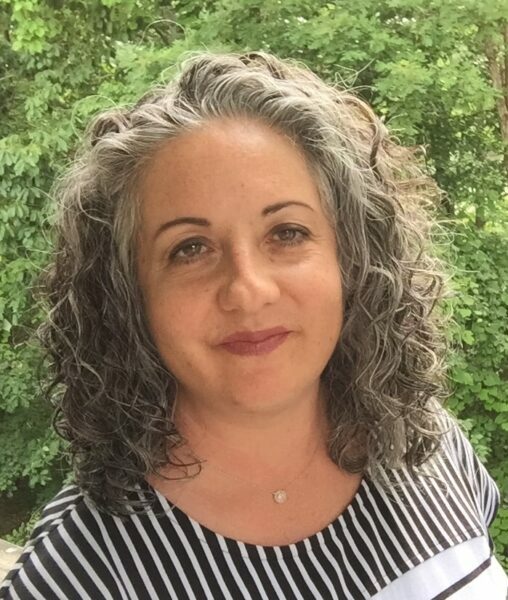 For this, although I adore the numbers in the “Fresh Cut” kit, I decided I wanted something a little smaller – so I went with the number stamps in the December 2018 “Snow Globe” kit, using a slightly darker green ink. I am of the opinion that one can never have enough alphas, numbers, or days of the week when it comes to stamps, so I love to mix and match from different kits when I’m able! Once my days and dates were down, I created my bullet list icons. 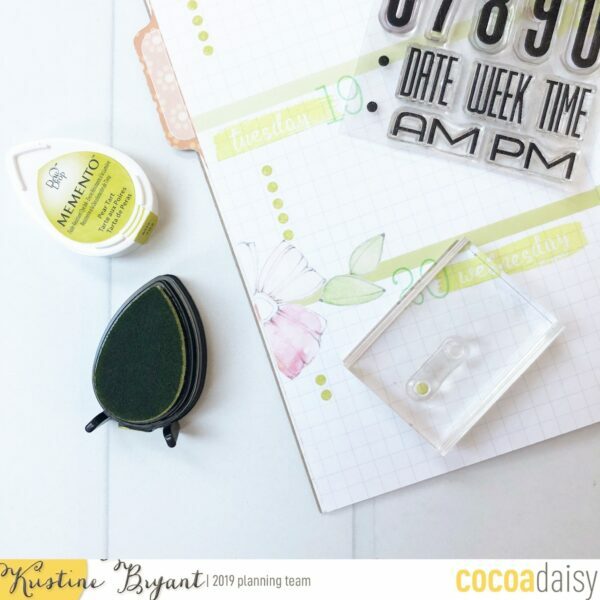 I am a list girl through and through – I get the most done when I work from a to-do list, and I LOVE checking those items off! Just about anything that’s small can be used as a bullet point, so this week I used one dot from the time stamps in the “Fresh Cut” kit. By dabbing the ink onto the stamp instead of vice versa, I could make sure only one dot was inked and make my checklist quickly and easily. Once the functional portions of the my layout were done, it was time to add some embellishments. 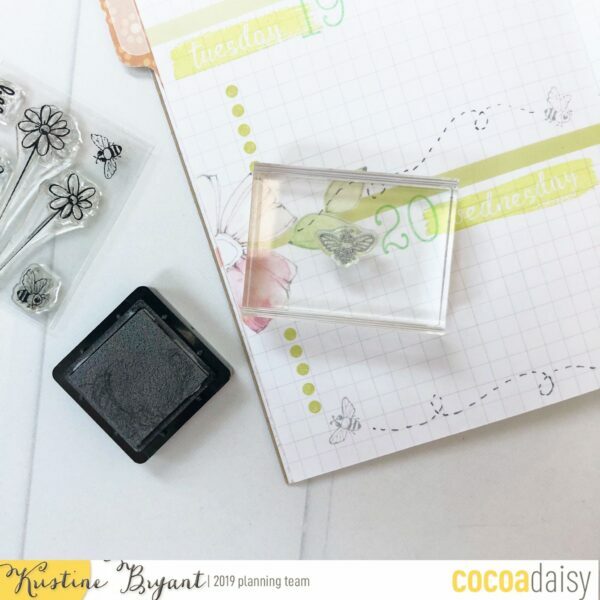 With the floral theme of the “Fresh Cut” kit, I thought some bees would be a nice touch – so I dug out the stamps from the August 2018 “Twinkling of the Tea” Day Planner kit and added a few bees on my layout. I used the silvery gray ink from the January “Paper and Ink” kit so they wouldn’t be too overpowering on the page.With the bees in place, I used a gray Stabilo pen to add the dotted lines so they looked as if they were flying over my pages. So cute! Finally, I decided to add just a bit of pink to tie in the florals printed on the page. I chose a soft pink ink and used the sayings stamps from the “Fresh Cut” kit to add some quotes here and there. I am a huge “Seinfeld” fan, so this “serenity now” stamp is just perfect for me! 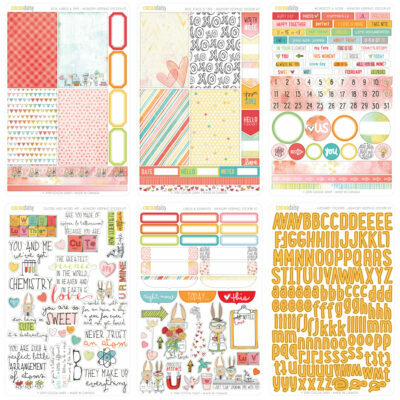 And there you have it, my completed weekly layout using only stamps! 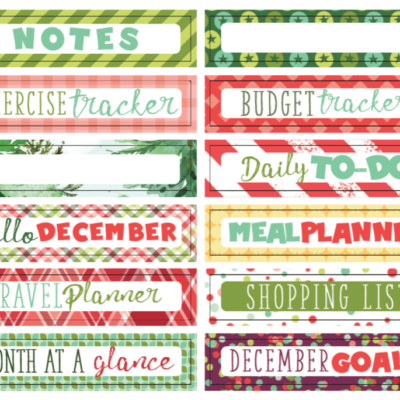 There’s enough there to have some interest and move your eye along, but it’s not too busy, and my to-do lists will be the focus of each day. My goal was to make my stamped elements look as if they could have been printed along with the existing artwork, and I think I achieved my goal. 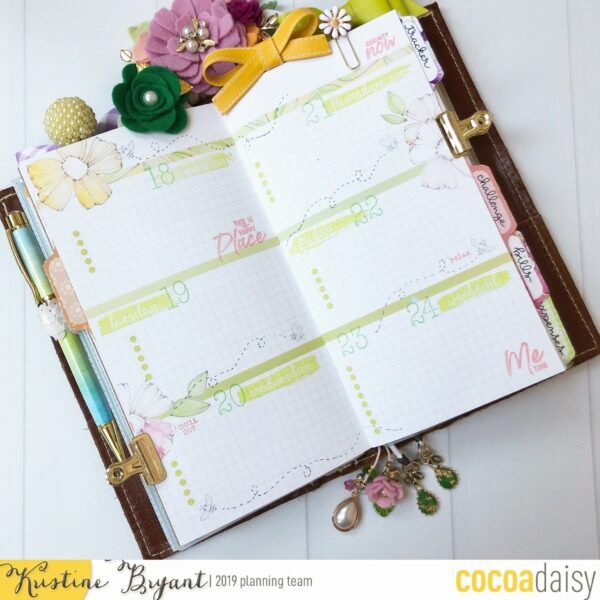 Thank you for reading today, and if you have any questions about stamping a layout like this or stamping in general, please feel free to post them in the Cocoa Daisy Planner Fans group or down below. 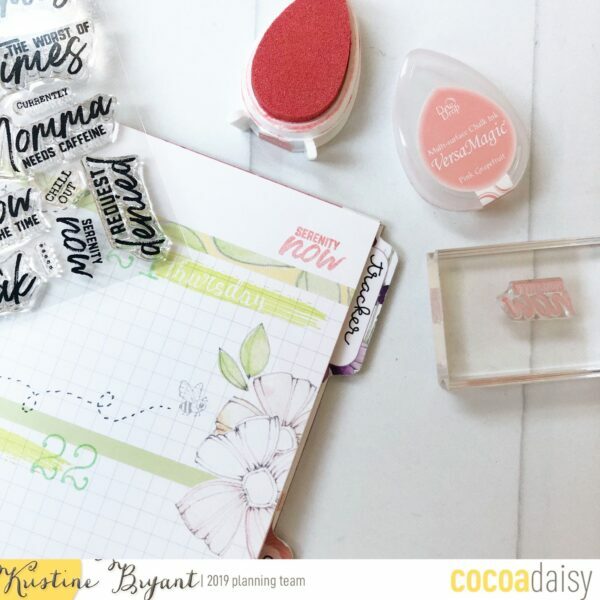 Happy stamping! I love how you are able to do your spread with only stamps. I do have a question. Since I’m fairly new to stamping, what kind of inks did you use? Thanks in advance. Hi, Janice! Thanks so much for your kind comments. 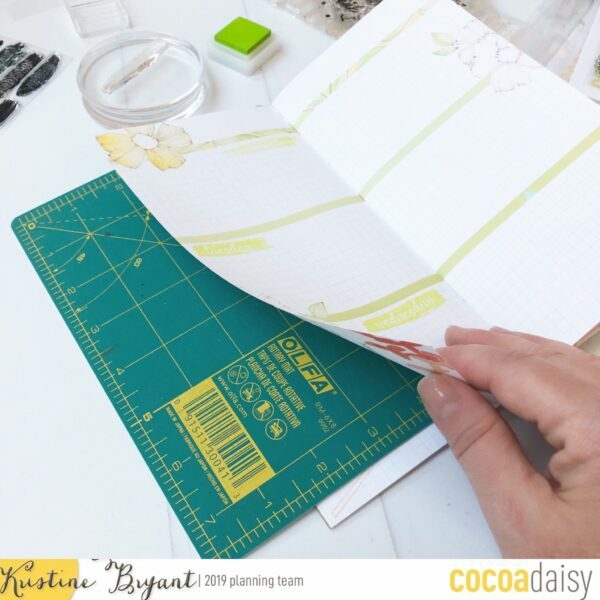 I use several types of ink – chalk and pigment inks, which sit on top of the page and therefore are less likely to bleed or shadow, and dye inks, which will bleed if the paper is thin (but the Cocoa Daisy paper is nice and thick and I use a light hand with the ink). 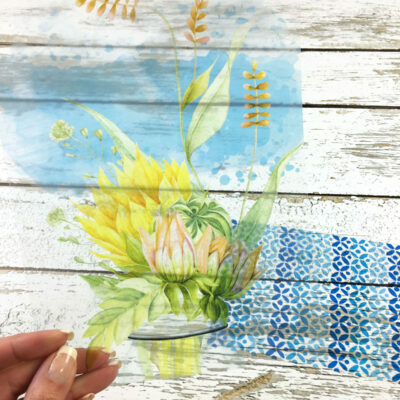 Chalk inks are easily found at craft stores like Michaels and JoAnn – look for VersaMagic brand. These come in little teardrop shaped packages. My favorite black pigment ink is VersaFine, which can also be found at craft stores – it’s the best black ink out there. For colored pigment ink, I like VersaColor, but I have only been able to find those online. (Those are the little square inks in my post.) Finally, dye inks can sometimes be found in craft stores – look for Memento inks, also in a teardrop shaped package. 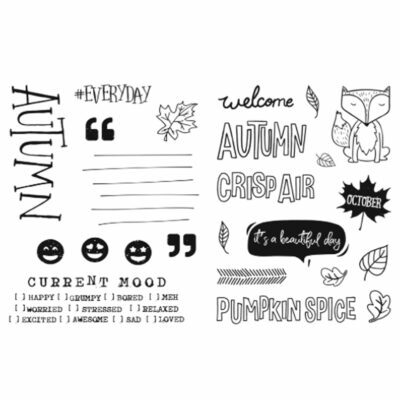 If you are new to stamping, I recommend you start out with some chalk inks and the VersaFine Onyx Black ink pad.